Maybe you’re not a person who wants to have all-day supplemental help to change your body. Maybe you’ve noticed that your workouts just need a little support from time to time, or you’re getting ready for a competition, so you need your workouts to be at their maximum intensity. In either situation, Finabolic Liquid Ephedra from GE Pharma can be the workout supplement you need to ensure your body is doing all that it can to change and to reshape. 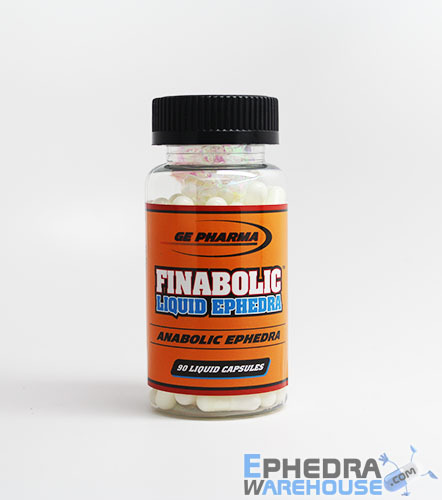 What is Finabolic Liquid Ephedra by GE Pharma? Many of these ingredients might be new to you, and they’ll be new to your body too. When you can blast your body with powerful ingredients, your body will respond as it doesn’t know what’s happening. You already know that you need to choose new workouts to enhance your overall results, so it makes sense to choose a supplement that uses a unique formula to surprise your body and help you reach your goals. The main benefits of Finabolic Liquid Ephedra from GE Pharma are many, including energy boosting, muscle building, and stamina enhancement. You’re going to feel better as you begin to look better – a superior combination. First, the ephedra in Finabolic Liquid Ephedra by GE Pharma is going to help you feel more powerful than you have before. You will walk into your workout ready to meet and exceed your goals, allowing you the opportunity to change the way your body looks in less workout time. Or you might feel so good that you decide to stay in the gym longer – which is no bad thing either. Next, your muscles are going to build at a more rapid rate when you’re in the gym longer. You already know that the harder you workout, the better the results you will see, so this makes sense. In addition, the ingredients in Finabolic Liquid Ephedra are designed to help max out your muscles so you’re a bigger version of you, the one that turns heads and gets noticed. Even if you’re not competing with others, you will be competing with yourself, and you’ll be the clear winner when you look in the mirror. And if you are competing, then you’ll have an added advantage. 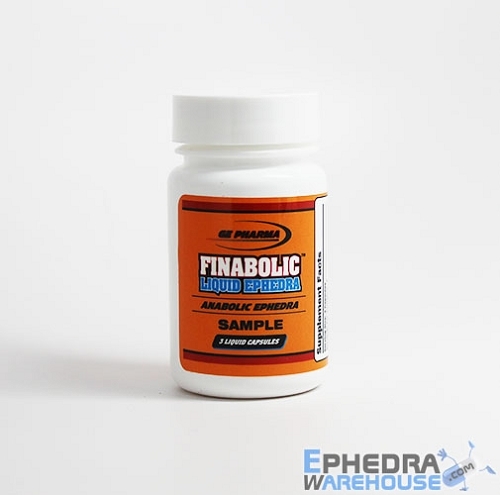 If you’ve felt as though you’re being pushed to the brink with your workouts, it can help to use Finabolic Liquid Ephedra by GE Pharma. This supplement is designed to help you last longer when you’re in the gym. Those additional repetitions and sets may not be easy, but you’ll feel yourself push through them with more energy and a better attitude. This supplement can help with your feelings of not being able to do enough when you walk into the weight room. If you’ve had too many days of feeling like you couldn’t complete what you set out to do, you need help, and this supplement might be the help you’ve needed. To get psyched up about your next workout with Finabolic Liquid Ephedra from GE Pharma, you should look at the reviews of others. These reviews will help you see what’s possible and what’s probably when you take the supplement as directed. Try to find reviews of those who are working toward similar goals. You will begin to see how the promises of Finabolic Liquid Ephedra are reality, and how they are going to change your body – and your life. While not everyone has the best results, know that when you make the changes you need to make, and when you use Finabolic Liquid Ephedra, you’ll become one of the people who will share their success story too. It can even help to write out your success story ahead of time so you can stay motivated and inspired. Even though it might be tempting to pop a pill and think that’s all you need to do, you’re still a part of the equation. You still need to head to the gym or to your home gym to get in the workouts that will change your body. You can also add to your overall transformation when you adjust your diet plan. You might already know the importance of eating healthy foods and drinking enough water, but when you’re working out even harder with Finabolic Liquid Ephedra, you need to be even more diligent about your lifestyle changes. Think about adding more sleep to your schedule and about ensuring you have a rest day or two each week. These changes will help to promote long-term change, and a better overall body. The more you do now, the easier it will be to maintain your body, allowing you the opportunity and the ability to be the best version of yourself you can be. 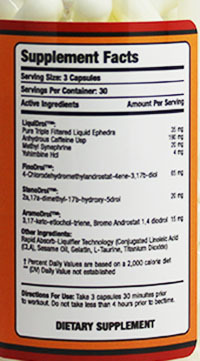 As with any new medication, check with your doctor before adding Finabolic Liquid Ephedra your supplement regimen. Follow the instructions carefully to avoid potential side effects and to ensure the best results. If you feel any discomfort, contact your doctor for advice and support.